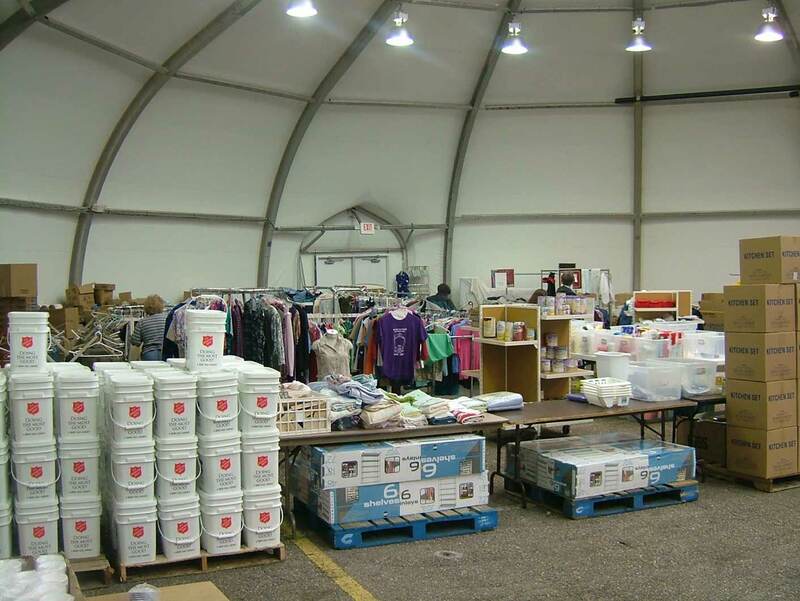 Salvation Army – Hurricane Katrina Disaster Recovery. 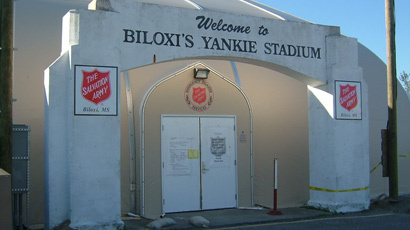 After the devastation of Hurricane Katrina, the Salvation Army needed an immediate on site presence to assist with disaster recovery in the Gulf Region. Food distribution offices, Sunday School services, youth activities and bible study. Delivered and erected within 3 weeks from order, several 70’ wide x 156’ long Sprung structures provided an immediate solution. 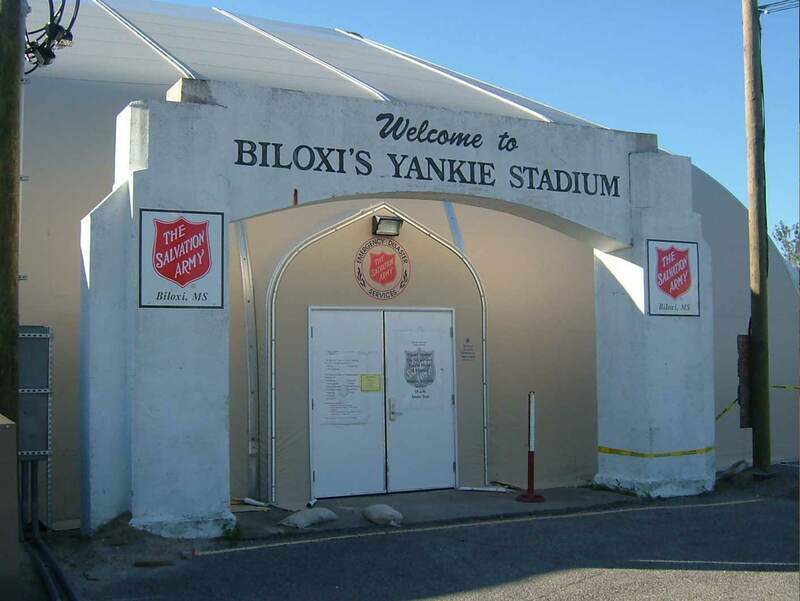 After the devastation of Hurricane Katrina, the Salvation Army needed an immediate on site presence to assist with disaster recovery in the Gulf Region. Sprung was able to provide several 11,200 sq.ft. structures complete with engineered interior partitions. 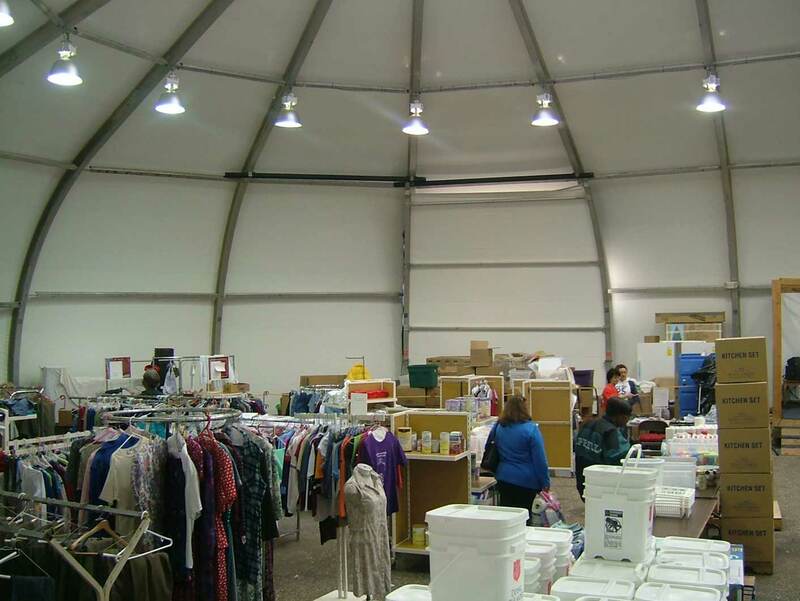 This enabled the Salvation Army to provide a variety of services in each of the structures, such as food distribution offices, Sunday School services, youth activities and bible study. 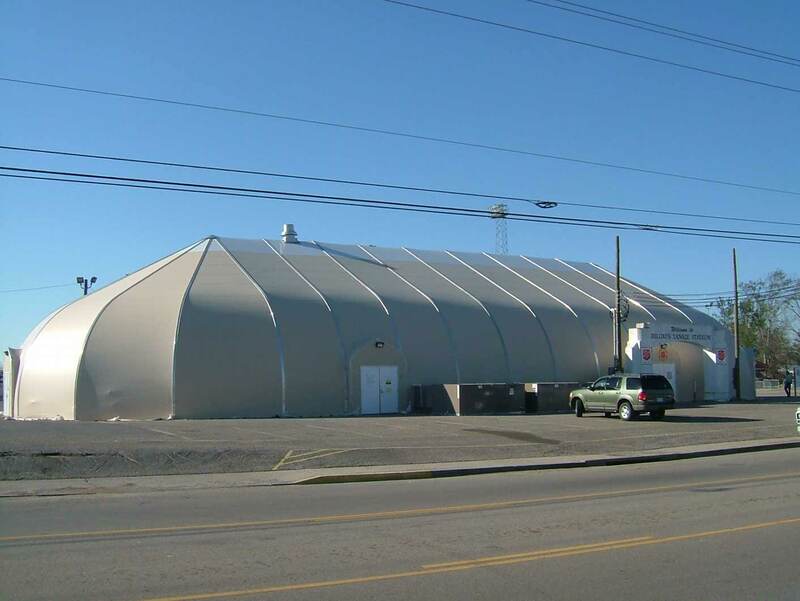 Delivered and erected within 3 weeks from order, several 70’ wide x 156’ long Sprung structures provided an in the Gulf Region. Daylight panels in the peak.